My first Smartphone was Symbian based Nokia 3650, followed by dozen Windows Mobile devices like HTC Magician, HTC TyTn and HTC Touch. After Nokia’s great 3650, the iPhone 3G was my second attempt to run on a non Windows Mobile device. Although it was beautiful experience, one must admit, that iOS was at this time really laggy. So I switched again – to my first Windows Phone: Samsung Omnia 7. And it felt like “wow”. Besides the extremely good price-performance ratio, the phone was very stable with consistent user maturity. What I liked a lot was the simplicity and straightforwardness of the Windows Phone user interface and although the so-called tiles polarized on the market, for me they are perfect. Windows Phones had at the time of their launch (2010) the most innovative, but to be fair, not most popular user interface. The total number of apps at the time of market entry was low as 1700 according to this post but I didn’t care. I was driven by stability and simplicity. In 2011 my beautiful and lovely phone was stolen out of my hotel room while I was sleeping. Contrary to my intuition, I decided for an Android next. Sony Ericsson Xperia neo V was about the same price tag like the Samsung Omnia 7. But compared to Samsung, Sony was horrible laggy and had bad quality hardware with a clunky user interface. It was like one step forward and many steps back. I couldn’t stand for more than one week with it. Finally, with Nokia 800 I returned back to Windows Phone and remained until today. I’m sticking now with three years old HTC 8x. Besides of last point is, everything is there. I would not have a problem to find a appropriate phone, except of the fact, that it seems to be a trend, that phones with small screens (up to 4.7″) are dead for a while. But I’m really increasingly concerned with the quality and availability of apps. 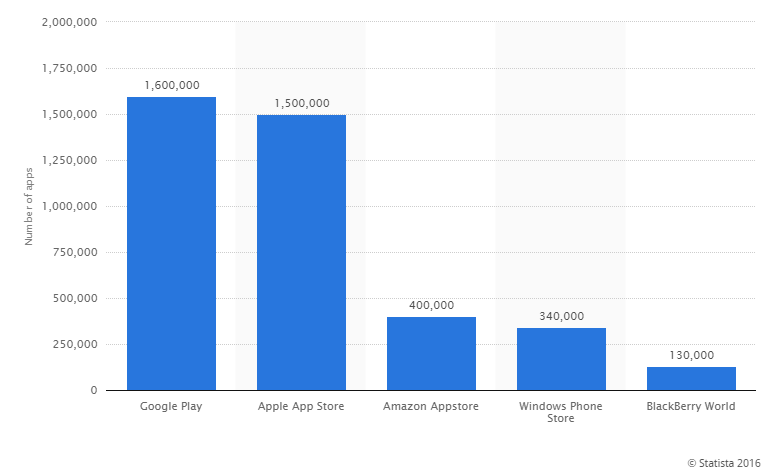 In 2015, Windows Phone Store hit 340,000 Apps, while Google Play had 1,600,000 and Apple App Store offered 1,500,000 apps respectively. Even in 2016 most of the popular Apps in Windows Phone Store are either not fully featured (dead apps), or they are missing completely. Even worse is that it seems we turned to be strangers in our own country, because we should get accustomed to the fact that Microsoft itself releases their apps first on iOS or Android, long before they’re launched on their own platform. What I’m missing most is clearness and commitment. In fact I still don’t get what is exactly going on, or on the contrary, I know it for sure, and I’m scared about it.